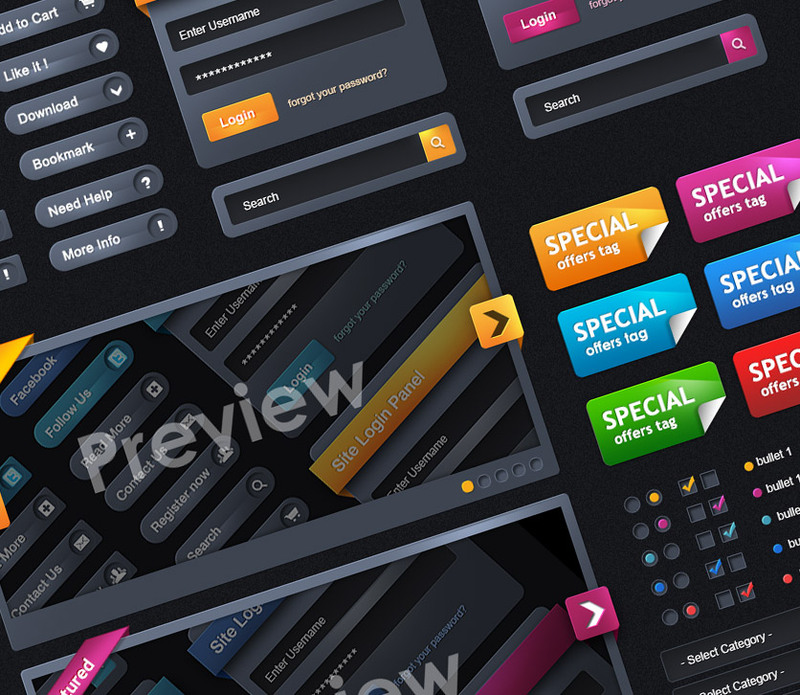 We are giving away Free Color Web Elements UI Collection PSD. It is Huge collection of usefull web elements in 5 different colors for your Web Projects. You can customize and create hundreds of combination using these Elements. Total 26 icon buttons, that can be used with or without icons. Layered .psd for each color included, easy to customize and well organized. Note: This PSD file you can download for free just for limited time. After that You have to purchase this PSD from here if you really want to use it. so grab it and use the way you you want to. Enjoy!